The race for the Stanley Cup continues this evening with a thrilling Calgary Flames vs. Pittsburgh Penguins matchup. The Penguins are doing all they can to maintain their current No. 3 ranking in the Metropolitan. Meanwhile, the Flames are dead-set on cracking the Top 3 in the Pacific. Let’s take a look at what the evening’s teaser sports betting odds are predicting for this Monday night matchup. Team Captain Mark Giordano leads the Flames onto the ice this evening, while Calgary will be turning to Johnny Gaudreau. 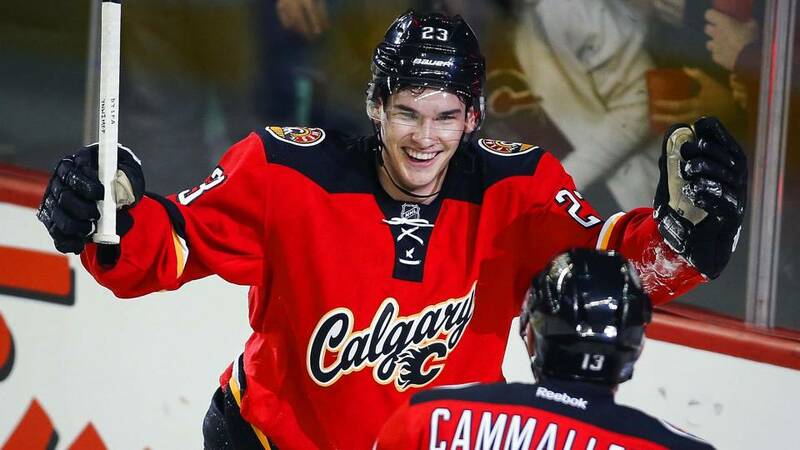 Gaudreau currently leads the Flames in points and assists, often connecting with leading goal-scorer Sean Monahan. Thanks to their efforts, the Flames enter this evening’s matchup with a 32-25-9 record. Moreover, Calgary enters with 73-points to their name. That 73-point tally places the Flames 16-pionts behind the division-leading Vegas Golden Knights. Additionally, it places the franchise 5-points behind the 3rd-seeded Anaheim Ducks. With that in mind, it’s clear that the Flames still have a shot of making this year’s playoffs. Of course, a win over the Guins this evening would help them out tremendously. By the looks of it, the evening’s hockey betting odds are siding against Calgary. It’s not all that surprising, considering Pittsburgh looks much better on paper. Specifically, the Penguins 5th-rated scoring offense is superior to the Flames’ 20th-ranked unit. Not only that, Pittsburgh wields the best power play percentage in the NHL. The Flames on the other hand, rank 23rd in power play percentage. Having said that, it’s clear that the Flames are at a disadvantage this evening. Team Captain and longtime fan-favorite Sidney Crosby leads the Guins on home ice this evening. 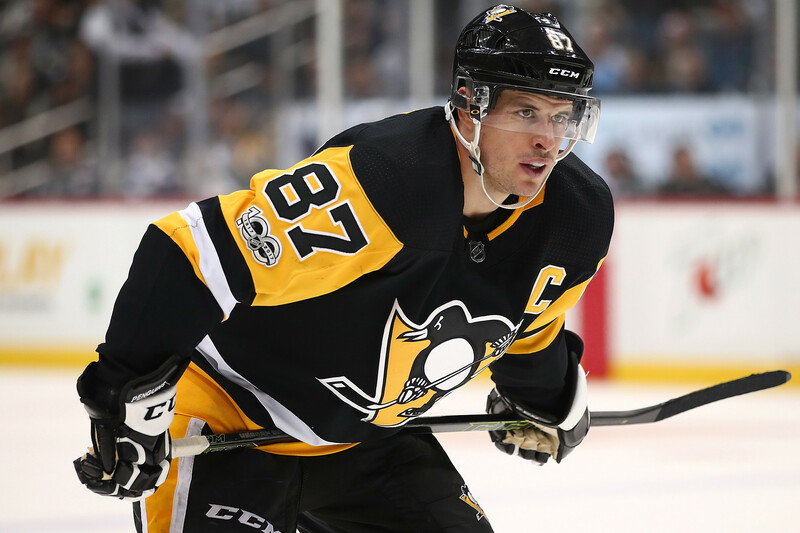 Crosby is currently Pittsburgh’s leading assist man often connecting with Evgeni Malkin – who leads the Penguins in points and goals alike. The reigning Stanley Cup Champions come into this game with a 37-25-4 record. That record grants the club 78-points on the season. On top of that, that 78-point tally ranks Pittsburgh 3rd in the Met. Currently, the Washington Capitals lead the division followed by the Philadelphia Flyers. Washington has 81-points on the season while Philly has 79, proving the Guins are very much in the mix of things. So, should bettors side with the evening’s hockey betting odds and take the Penguins on home ice? Or should they side with the underdog in this evening’s Calgary Flames vs. Pittsburgh Penguins matchup? All things considered, top sportsbook players will likely be siding with the Penguins this evening. Pittsburgh will be competing on home ice and they clearly have the better team. Luckily, the odds aren’t stacked in Pittsburgh’s favor all that heavily. This opens the door for NHL bettors to rack up some large value on tonight’s action. The trends make it clear that the Penguins have the advantage and momentum in this matchup. The Flames have been struggling as of late and will have to face a better team on the road. Bettors can enjoy some great odds on the Penguins this evening. Sign up now to get in on tonight’s lucrative NHL betting action! Score Prediction: 5-4 Pittsburgh. The Penguins pick up the home win but fail to cover the spread. The TOTAL will be OVER this evening.